Many Internet of things devices can be controlled via smartphone only. What could possibly go wrong? Last week’s Consumer Electronics Show was a hotbed of Internet of things products, most of which were plain dumb. But CES simply reflected the naïveté that permeates most IoT efforts. I’m reminded of the first dot-com bubble, where the conventional wisdom in Silicon Valley was to throw out the past and reinvent everything humanity has learned over several thousand years. That was for the dinosaurs, remember? But in IoT’s sea of silliness, you'll find islands of innovation that do what’s truly needed: augment what we know with what is new. I’ve previously written about Silicon Valley’s misplaced obsession with remote control, rather than with the true IoT value (in fact, why the “I” stands for Internet) of connecting objects so they can act smarter together than alone. Despite the majority focus on remote-controlled coffeemakers and colored lightbulbs, products such as the Nest thermostat and smoke detector show that some in Silicon Valley actually understand the innovative potential of IoT. The remote-control fixation isn’t the only fallacy in Silicon Valley in its approach to IoT. I was reminded of another issue in recent weeks when looking for an irrigation sprinkler for my mom’s house that she could use onsite and I could manage remotely. That issue is the assumption that IoT devices should have no physical user interface, but rely solely on smartphones and websites -- in other words, that IoT devices should be headless. Most sprinkler control boxes are difficult to set up, using obtuse, unfathomable VCR-like controls that should earn their designers a special corner of hell. I was very unhappy a few years ago when Orbit stopped making a sprinkler controller that used simple sliders, one per valve, to set watering times. I guess it was too intuitive. My mom’s no dummy, but these things befuddle her even more than they befuddle me. I wanted a modern user interface that also worked remotely. With California’s history of water shortages, I also wanted to us a smart sprinkler controller that would adjust for the weather by connecting to a network of weather stations -- a classic IoT opportunity -- and that I could troubleshoot remotely if my mom was confused on its settings. There are now several such smart sprinkler controllers on the market, such as Rach.io’s Iro, as well as the inevitable bevy of Kickstarter wannabes like Blossom and Lono. But I quickly realized they share a common flaw: No user interface on the devices themselves. There’s no way my mom will go to a computer to adjust her watering settings, and the last thing she wants is a smartphone. But forget the older generation. How does a gardener, plumber, neighbor, or technician access the controller? With some products, the solution is to share your account credentials with those other people -- a bad idea. With others, you can create guest access accounts, which may make sense in tech hubs but not in the world where most people live. It’s unnecessarily complicated and imposes technology requirements on users (download an app, for starters), many of whom deal with physical items and barely use email, much less apps. They’re not stupid; they’re oriented to physical items, which is why they tend to work on physical items. 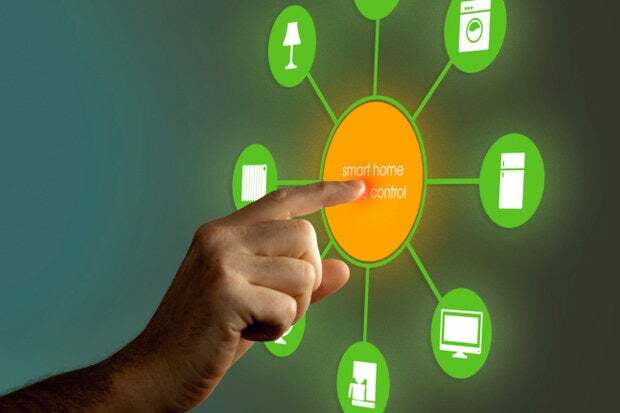 Smartphones are a great nexus for controlling IoT devices -- better than the proprietary hubs so many are pushing -- but they should not be the sole option. Still, I’ve seen the same misplaced “everyone uses a smartphone and can set up guest accounts” fallacy in other IoT domains, such as home alarm systems and door locks. What may be true in San Francisco, Mountain View, Palo Alto, and Cupertino isn’t true elsewhere -- and it’s true in only rarefied circles in those Silicon Valley centers. The good news is that some companies get it. Two smart water sprinkler controllers on the market offer both a local user interface for better traditional control and a modern app and Web remote control, in addition to the weather-based smart adjustments: Green Electronics’ RainMachine and Skydrop’s Skydrop Controller. Traditional provider Rain Bird also has one, but its local interface is the same unusable set of traditional VCR-like controls that should be put out of their misery. In the smart lock domain, Schlage has previewed the Sense smart lock that can open automatically when a recognized device comes within range, as well as be controlled remotely -- yet it still works with a regular key. Plus, you can program it with PIN codes, so you can share virtual keys with the knowledge that the PIN code expires. The Schlage Sense combines traditional lock notion (physical key) and new lock notions (Bluetooth proximity triggers, disposable PINs, and remote control) in a way that works across multiple contexts, giving each their due without taking away from the others. Recent updates to the Nest thermostat -- which always had a local interface on the device, in addition to its app -- have improved the local interface, adding information like weather to the screen. The folks at Nest realized that a local interface can add more value than simply providing continuity with the familiar approaches of the physical world. In other words, they’re innovating both the old and the new at the same time. The lesson is simple: Don’t throw away the world as it is when you innovate; instead, leverage and enhance it. Old isn’t bad; it’s actually the result of previous innovation and experience, much of which remains valid even in the face of new breakthroughs. IoT developers should take these lessons to heart now, before they go down the VCR route.